The San Joaquin cemetery, known for its imposing Campo Santo or mortuary chapel, is a Roman Catholic cemetery located in San Joaquin, Southern Iloilo. The cemetery is perhaps the grandest and best preserved in the entire Province of Iloilo. Built during the Spanish-colonial period of the Philippines, the San Joaquin cemetery was initiated in 1892 by Fray Mariano Vamba, the last Augustinian parish priest of the town. A statue of Jesus with his arms outstretched stands on top of a Baroque-style gate, and on each side of Christ, two columns with angelic figures are poised as guards. In addition, sculpted heads of two cherubs and a skull representing death marks the entrance of the cemetery. The San Jaoquin Cemetery is located along the main highway in San Joaquin, which is approximately 45 minutes away from Iloilo City by land. To go there by jeepney, ride a San Joaquin Jeepney from Molo or at the Terminal Market (locally called “Super”) near Robinsons Place Mall. Tell the driver to that you will be dropping off at San Joaquin’s “patyo” or cemetery. For more information visit the Iloilo Transportation Guide. 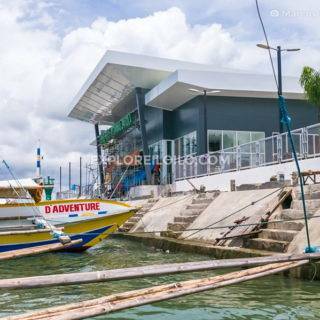 Discover more blogs and travel tips in San Joaquin. Am proud of the builder of the Camposanto of San Joaquin – Fray Mariano Vamba! chy, thanks for your immediate response. i truly appreciate that. 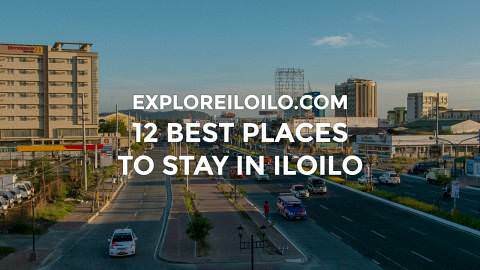 more power to us who love Iloilo. I hope I get to meet you sometime. P.S. did you buy this format from wordpress? I’m really eons behind in the web’s technicalities. it is as grand as the town church. i am so proud that my beloved hometown own these two magnificent heritage structures. Chy, the cemetery is along the highway. You can get off the bus right in front of the cemetery gate.